Before we directly get into discussing testing eCommerce sites, it will be worthwhile looking at some statistics. Cross-border shoppers have increased drastically. This eventually leads to increase in payment transactions. The eCommerce market in India expected to cross 2 Lakh crores in 2016, according to IAMAI (The Internet and mobile association of India) and IMRB. E-commerce Share of Total U.S. Retail Sales 2011-2015: The e-commerce share of total retail sales increased more than 4 percentage points in 5 years. 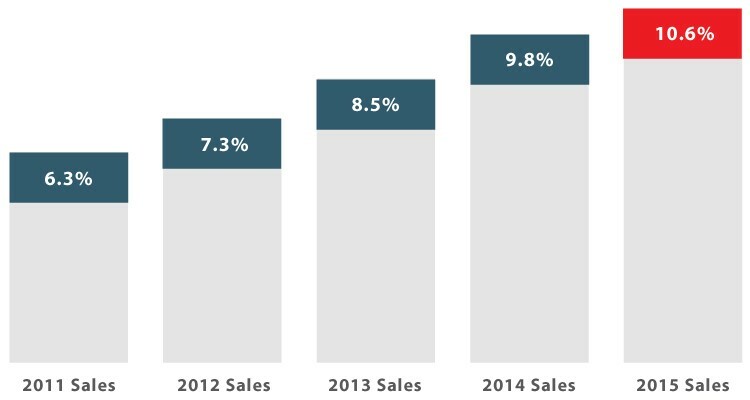 Comparing year-over-year growth in total retail, non-store sales and e-commerce. Recommended products – based on search history, wishlist, etc. SEO (Search engine optimization) – XML sitemap, internal indexing, Meta descriptions, etc.